This quote rings true for Alex Romo’s story with golf as it is decorated with the theme of persistence. Alex embodies persistence. Without this remarkable trait, his life would be in an entirely different place than it is today. I say this because Alex has faced many obstacles that have tried to get in the way of his passion, golf, and the pursuit of the PGA Tour. No matter the barrier, it seems that he always finds a way to get one step closer to his dream. If you take a deep dive into Alex’s story, one of the first hurdles we see him overcome is his high school goal of getting recruited onto a Division 1 golf team. As he was progressing through high school golf, he wasn’t quite going at the rate you need to be to get recruited to play Division 1 which was always his goal. Getting recruited to play D1 golf is no small feat, though. Only the top junior players in the world get offered scholarships to the best programs in the country. Being the underdog did not stop him. After listening to the podcast, you will quickly realize that when Alex sets a goal, he implements a tenacious attitude to achieve it. 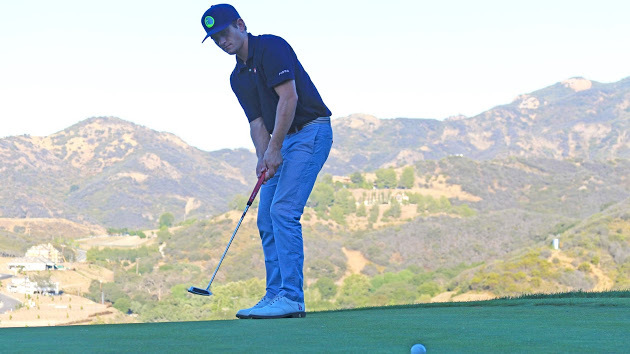 Alex approached his chase of college golf with that same ambitious character. As a solution to not getting recruited onto a D1 team, Alex took a step back, pivoted, did his research, and went to a college that allowed him the opportunity to walk on. That school was Cal Poly. Here we see Alex’s true resilience come to life. He had a very good high school career but struggled to translate that into his freshman year tryout. He came up a few strokes short of making the team. Once again, this did not stop him. He spent the entirety of his freshman year and summer, practicing and playing in amateur tournaments. His sophomore year he came back blazing, resulting in a superb try-out but unfortunately was the last cut from the team. After a stinging result like that, many would have given up at this point. He did not. After talking to Alex, you quickly realize the power of his positive mentality. Instead of seeing this result as a negative, he took the high road, noticing that it was substantial progress in the right direction. Once again, he went back to the drawing board, constructed a plan, and continued to play in amateur events for the rest of his sophomore year. I digress back to this quote, because, in his junior year, he broke through and earned a walk-on position. This was a monumental moment for Alex because it proved that if you believe in yourself, and never give up, you will succeed. In his first start on the team, Alex shot a 74-72-73 to finish at 3-over 219. This was a fantastic start to his college career and good enough to get him his first top 20 finish. Alex never looked back. He went on to have an excellent college career as a walk-on, highlighted by shooting a career low, 64, in the Ventura County Championships. From here, Alex was poised to embark on the journey to the PGA Tour filled with confidence. He had a full schedule of professional mini-tour events lined up and a few local sponsors under his belt. Everything seemed to be moving the right direction. A week before his first event, another obstacle in his pursuit of his passion appeared. Alex noticed a weird pain in his neck one morning and thinking he slept on it wrong, didn’t think much of it. He tried to keep practicing and playing through it but the pain increased. Eventually, his doctor figured out the root of the pain. His sternoclavicular joint was loose and unstable. Surgery to reconstruct the joint was too risky due to major arteries in the surrounding areas. Cortisone shots were working temporarily, but once they wore off the pain was worse than before. For a brief moment, it seemed as Alex might have had to put the sticks down for a long while to let the injury run it’s course, healing on its own. 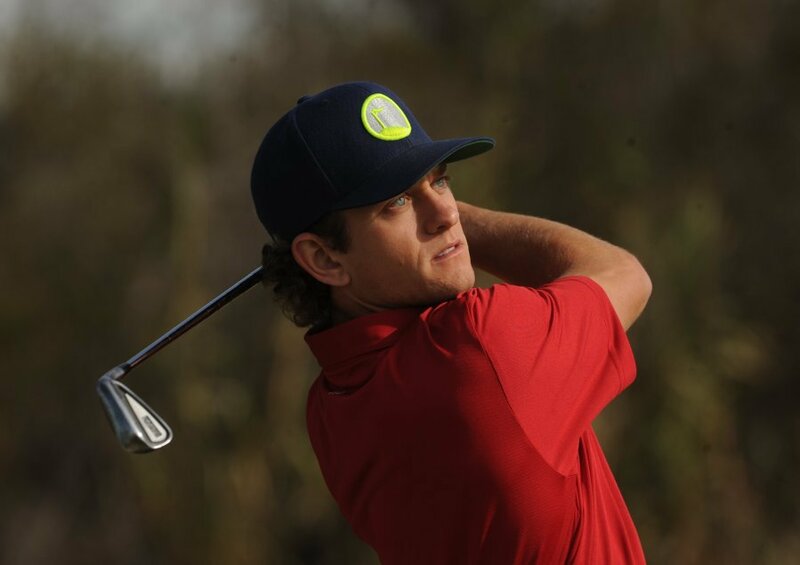 To take serious time off from golf meant giving up on his dream to play professionally. To give up is not in Alex’s nature. Once again, he took a step back, did his research and looked for alternative methods of treatment. This all culminated in the discovery of stem cell injections to restore the joint. In February of 2015, Alex started the treatment. He began a 14-month long process of giving up most physical activity, letting the treatments settle in. During this time, Alex was house-ridden trying to recover. So instead of laying around, Alex made the best of his days off and became intrigued with online entrepreneurship. Becuase of his positive attitude, Alex looked at this in the best light. He realized some time off from golf unveiled some new passions in his life. Now Alex his back and healthy, and after coming off his injury was able to get a single day mini-tour event win under his belt. He is also in the process of creating income streams by building online businesses through golf. He is starting by creating his online brand, Alex Romo Golf. To do so, he is building platforms, such as a blog, a YouTube channel, social media accounts, etc., to convert his story into a monetized business. 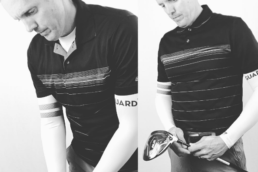 The brand will consist of all things golf, but predominantly showcasing life on the mini-tours. 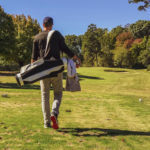 He wants to focus on all the hard work and grind that goes into it, and how to build a professional golf career without significant financial backing. Make sure to listen to the Podcast to hear Alex discuss his persistent nature with golf, his burgeoning interest in building online businesses, how to always stay positive no matter the obstacles and so much more from his inspiring journey. Great story Alex, happy to hear you want to head into entrepreneurship. It’s a great journey. Best of luck.